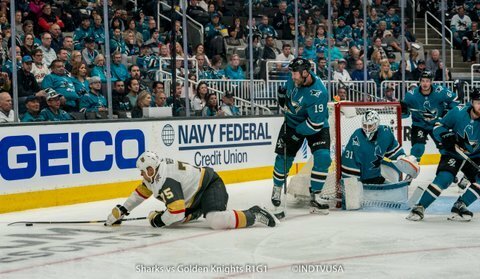 Vegas brought a barrage of hits and physicality to the game as expected but the Sharks stayed disciplined and stuck to their game. 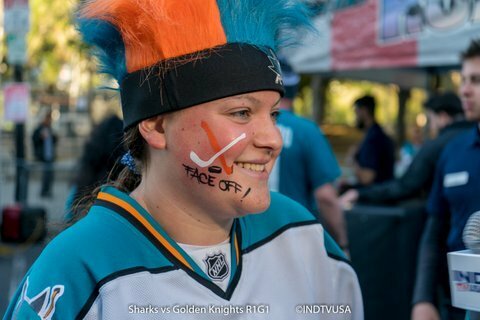 They did not allow any early goal and before the period was over, they drew first blood figuratively and literally. 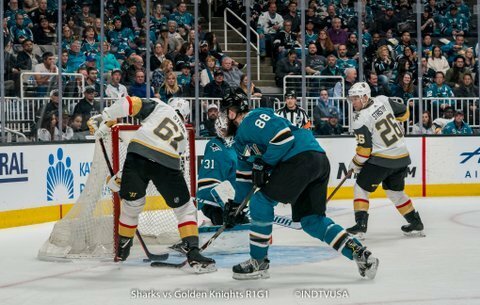 Just over fourteen minutes into the period, with the Sharks on a power play, Joe Pavelski got the puck on the right back boards and he spun it around the boards to Brent Burns on the blue line. 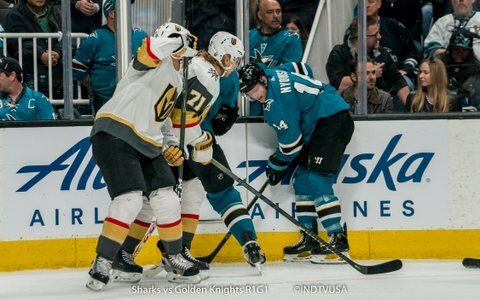 Burns ripped a shot which got deflected off of Pavelski’s face and into the net. 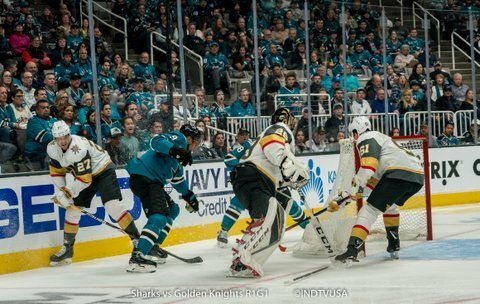 The Sharks’ ironman only missed one shift (forty-five seconds). 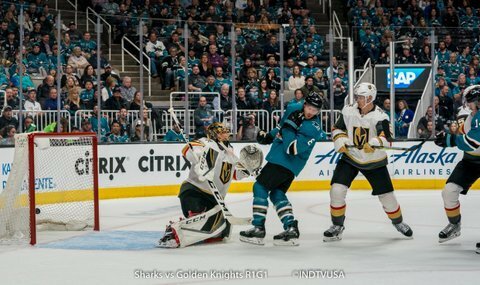 Pavelski was back in the game to start off the second period with full visor cage over his face to protect his injury. 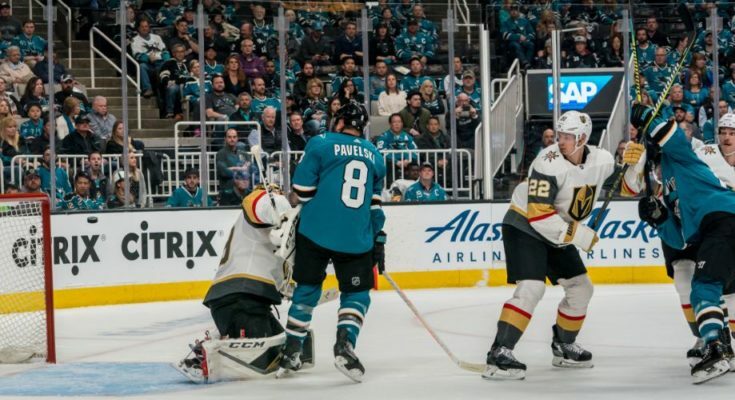 Vegas continued to get frustrated and sloppy with physicality which ended in more penalties. 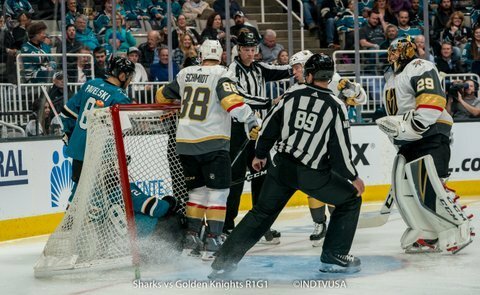 Just seven minutes into the second period, two players from each team ended up in the sin bin which lead to a three-on-three play. 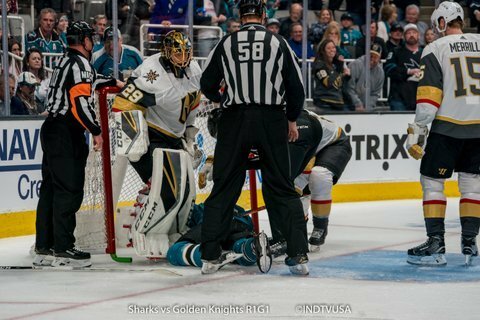 That’s when Burns took the puck off of Erik Karlsson’s stick, took couple of steps into the left circle and ripped a stinger to far side top shelf. Then just less than a minute later, on a four-on-four play, Joe Thornton passed the puck from behind the goal line to Marc-Edouardo Vlasic in the slot. 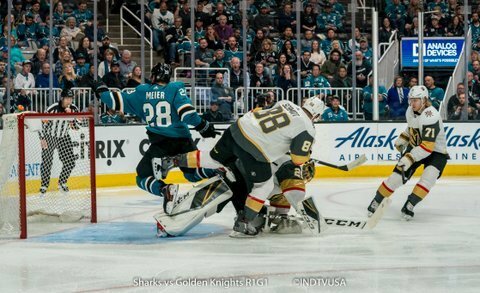 He ripped a one-timer shot straight in the net which put the Sharks on a deadly 3-0 lead. 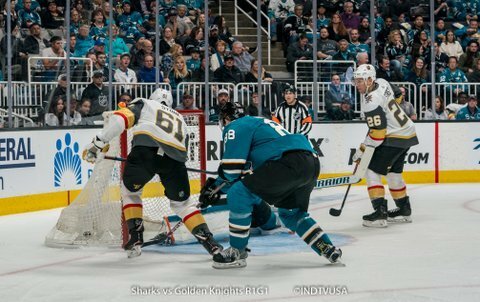 Right after that, Sharks had to kill off about a minute remaining in the penalty which they did. 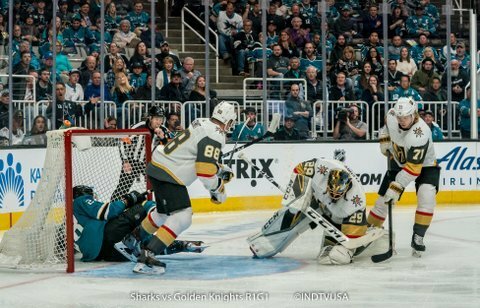 However, seconds after that, Paul Stastny took a hard shot from the right circle which Martin Jones saved. 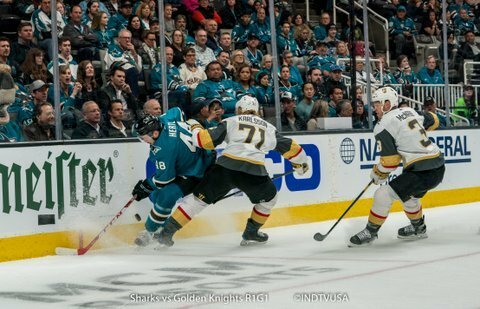 However, the rebound trickled to his right to Mark Stone for an easy tap in goal. 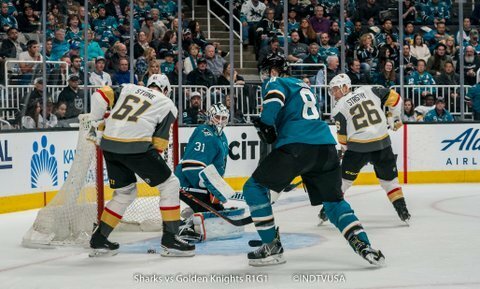 With just eighteen seconds left in the period, Erik Karlsson took a hard shot from high slot that Evander Kane deflected into the net and put Sharks on a 4-1 lead. 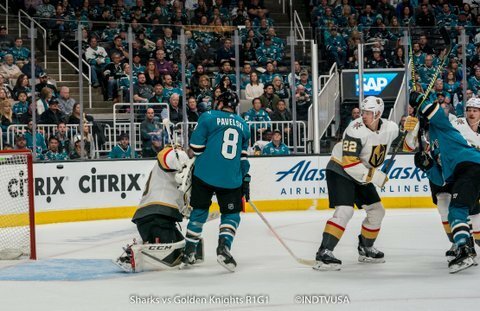 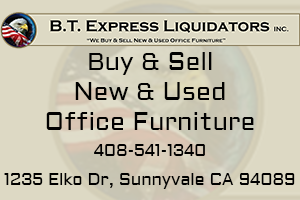 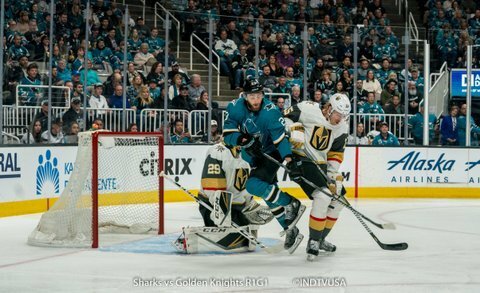 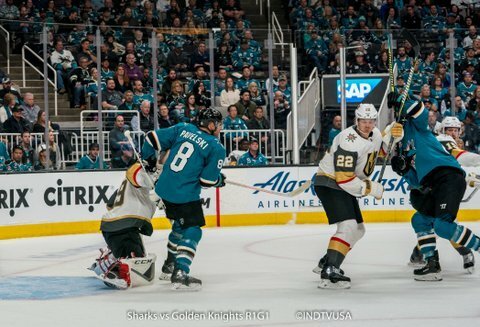 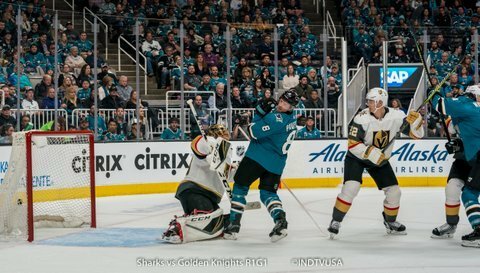 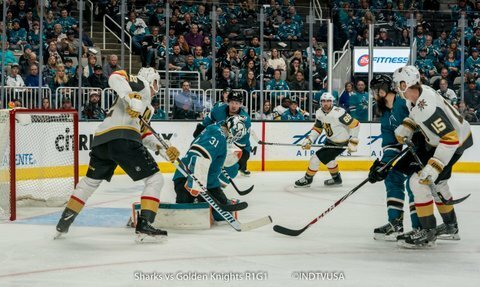 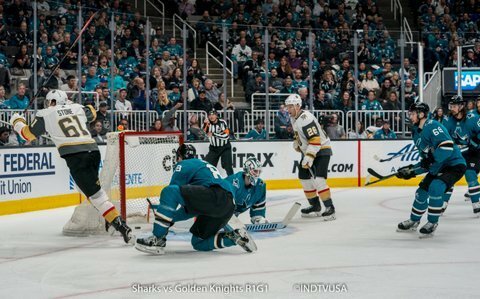 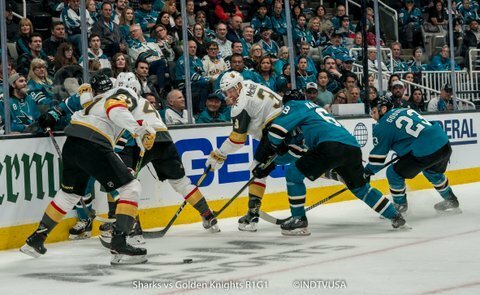 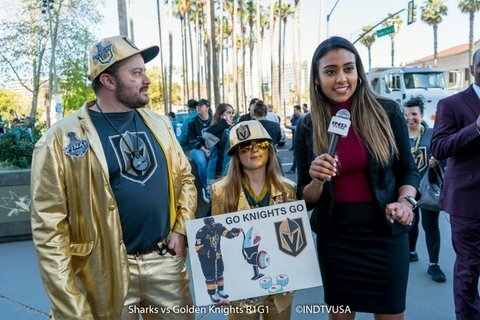 Sharks started off the third period answering some of the Golden Knights physicality with plenty of hits of their own and even took few penalties. 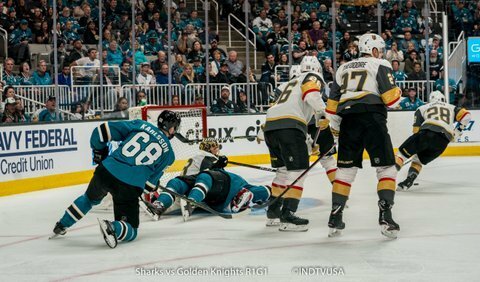 In the last five minutes, Mark Stone scored his second goal of the game on a power play from a shot in the left circle to far side top corner. 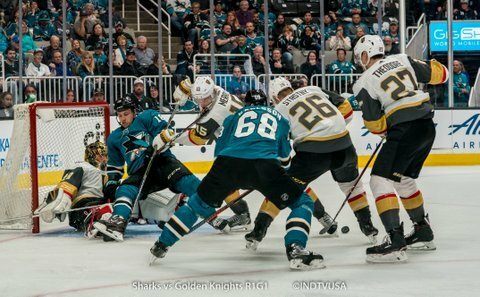 In the last two minutes of the game, Vegas was on a power play and they took their goalie out for a sixth player. 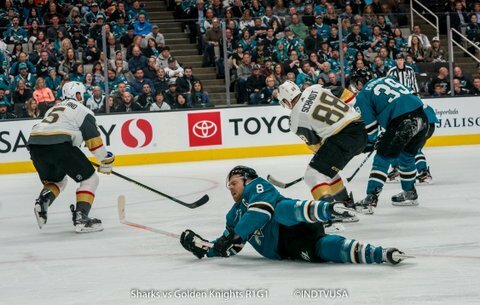 That’s when Tomas Hertl got a breakaway and scored the final goal of the game. 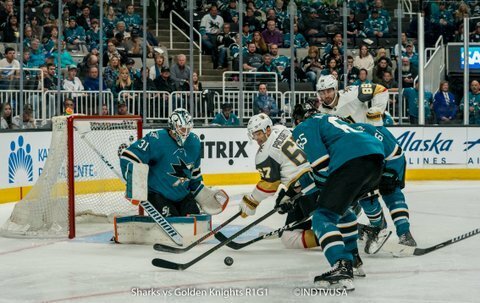 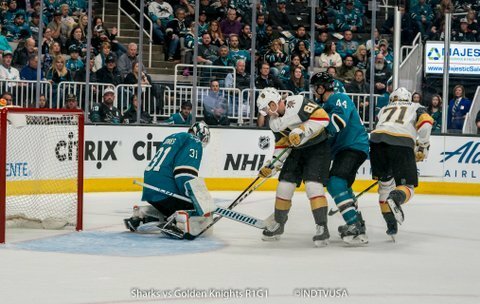 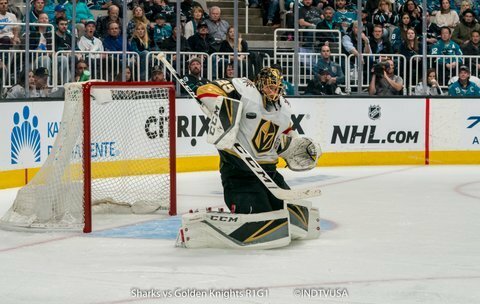 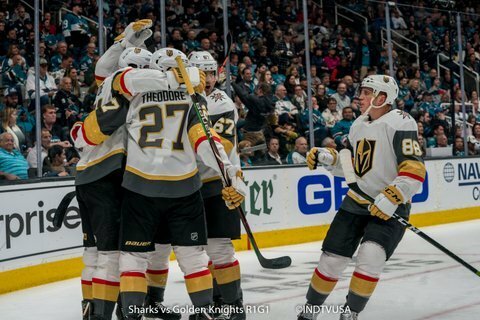 Tonight the Sharks led in shots (33-26), hits (42-41), giveaways (13-12) and takeaways (10-3) while the Golden Knights led in blocked shots (21-16). 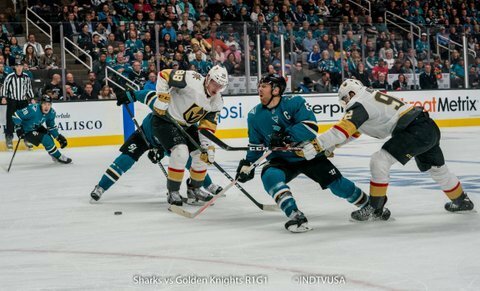 Both teams were tied in face-offs at 50%. 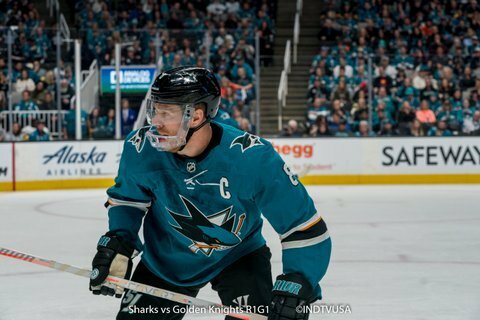 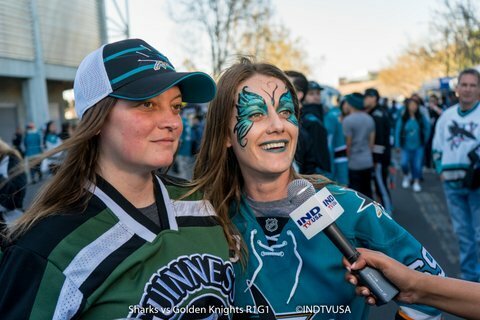 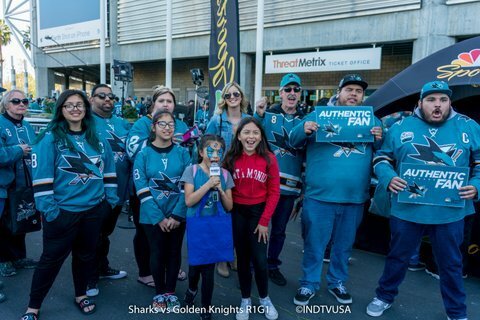 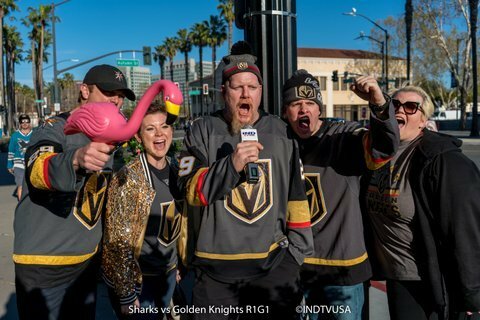 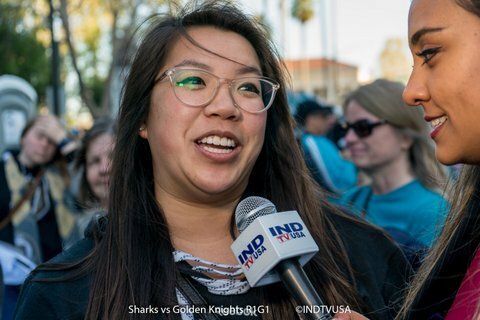 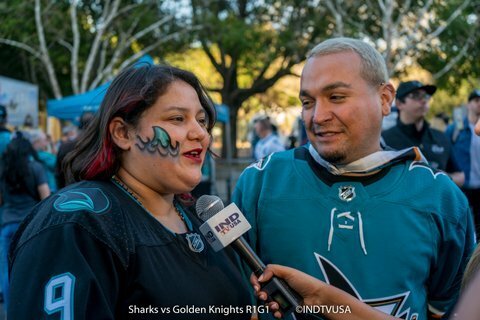 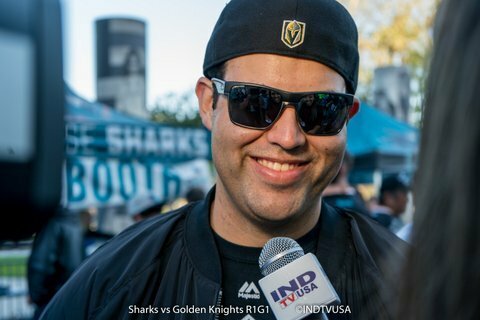 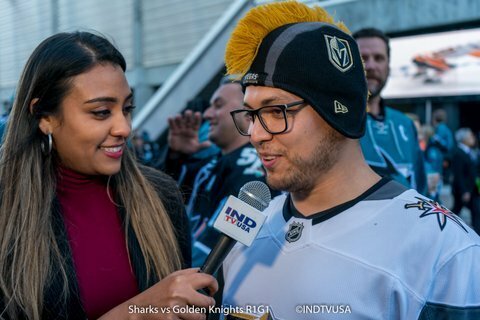 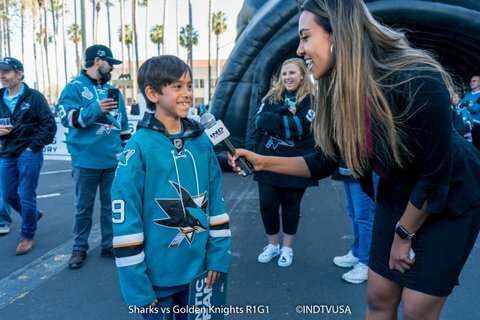 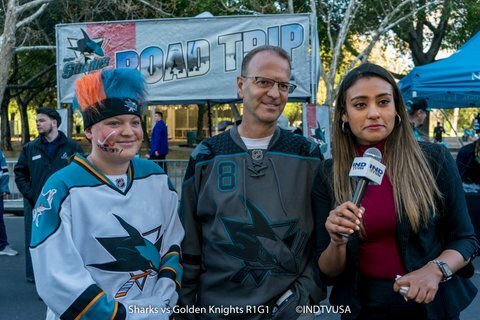 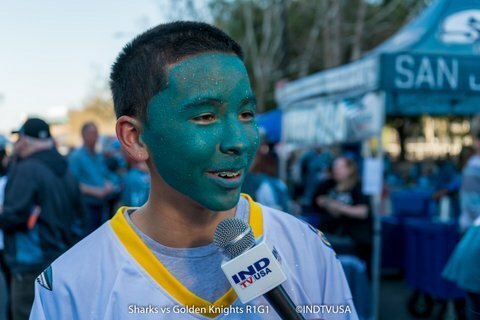 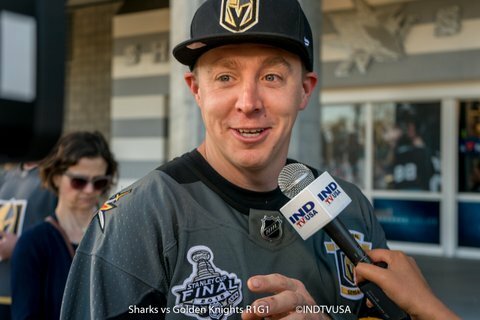 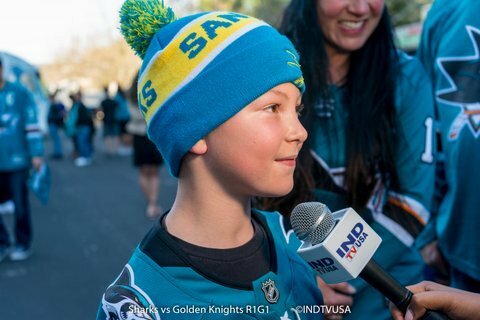 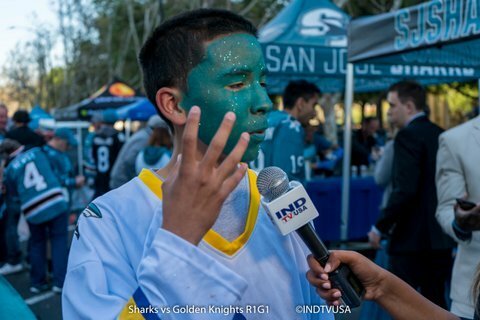 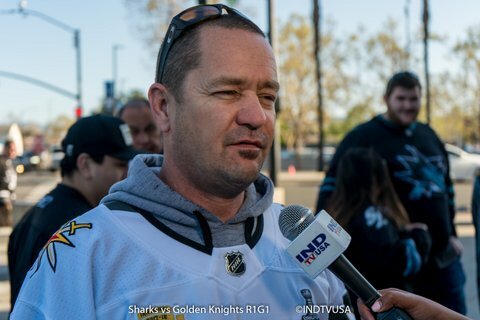 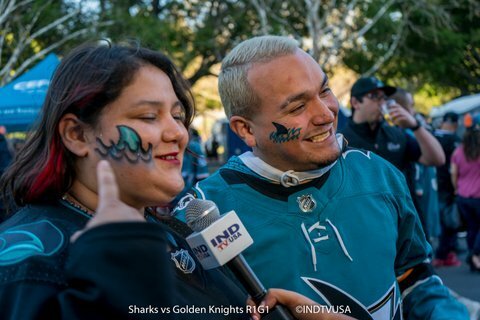 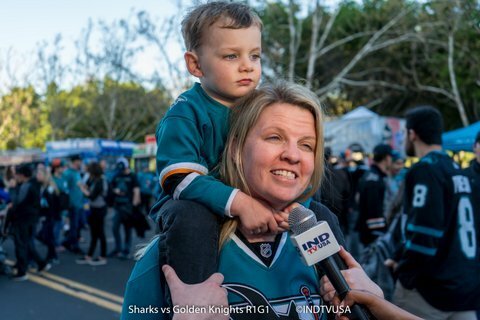 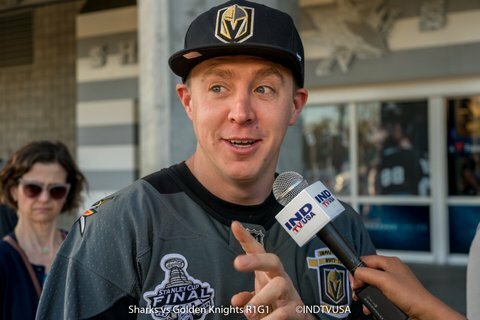 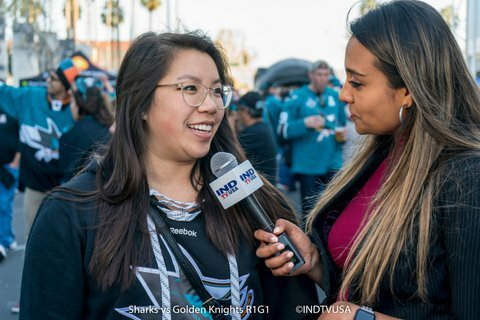 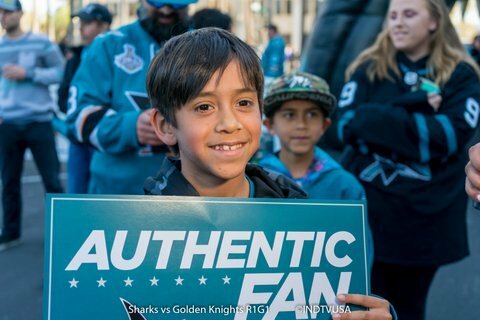 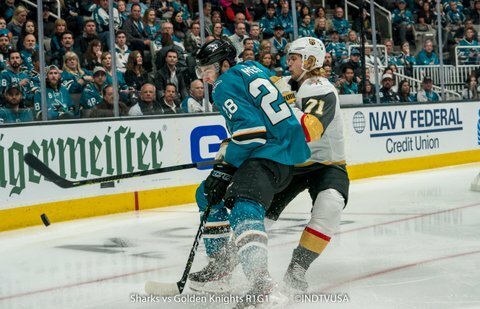 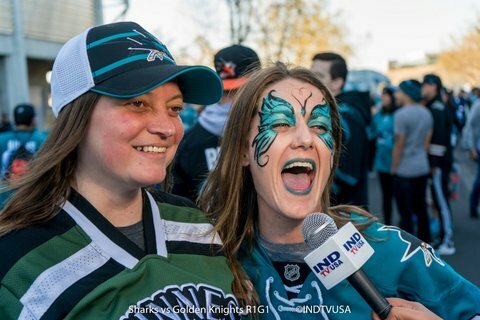 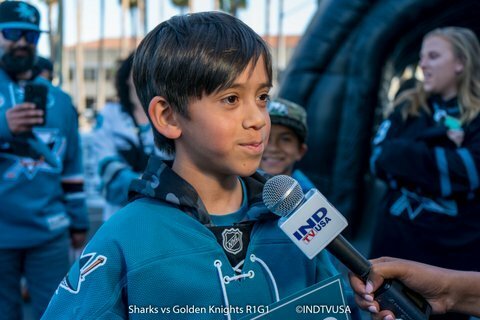 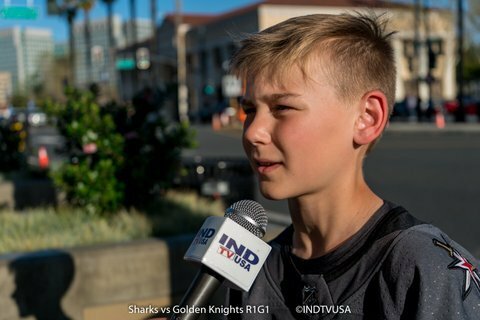 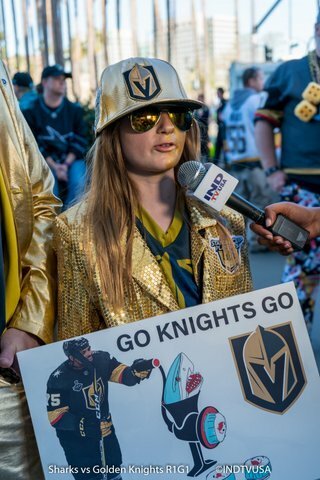 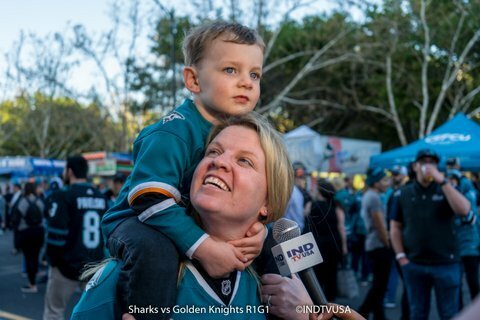 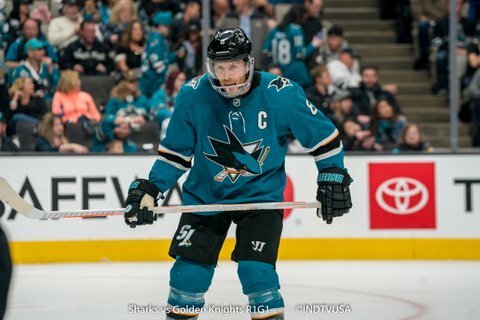 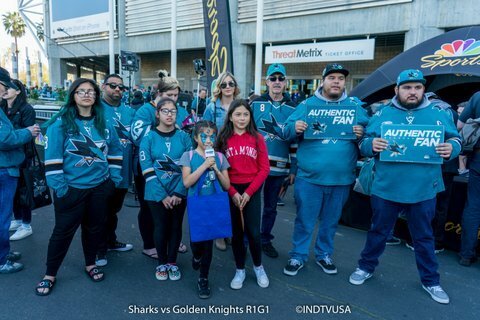 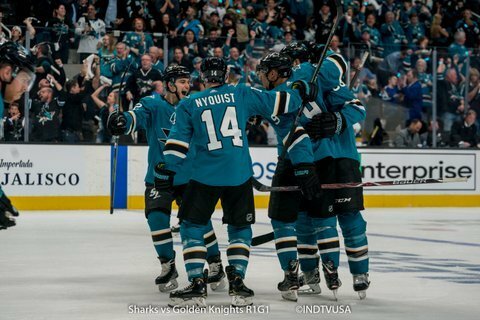 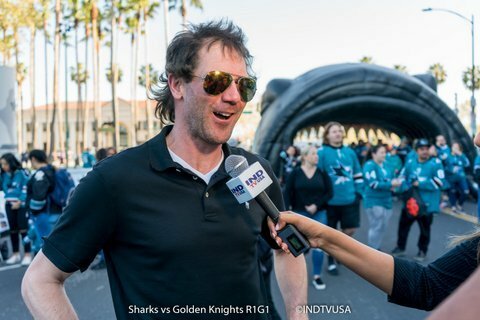 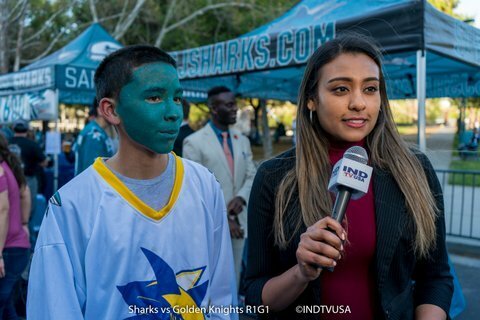 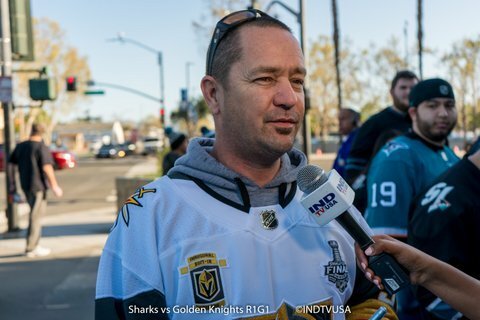 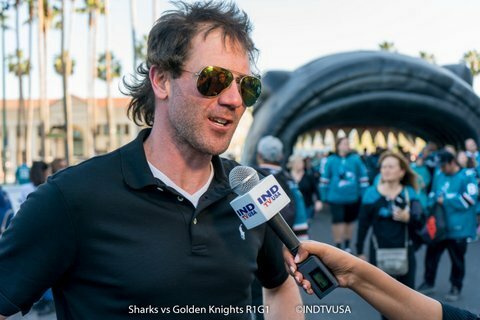 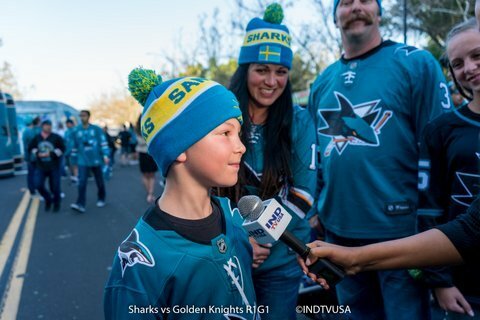 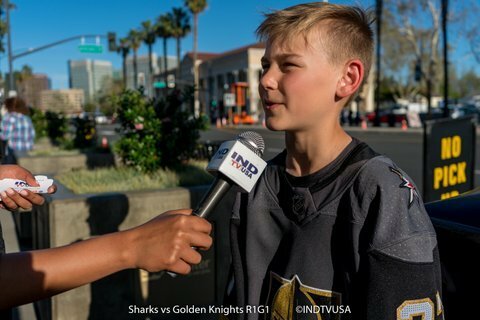 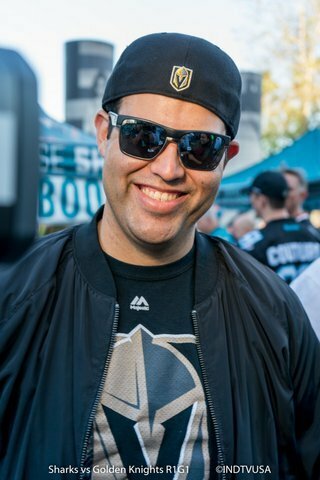 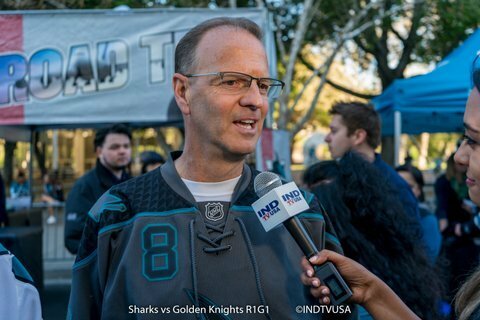 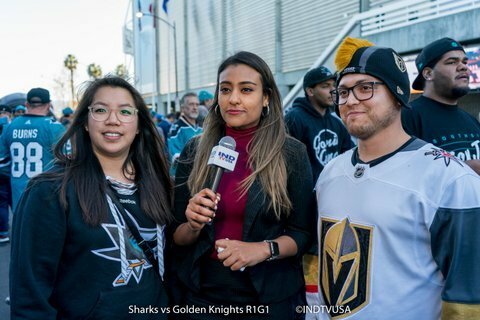 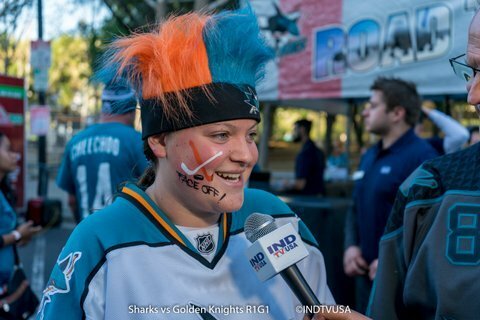 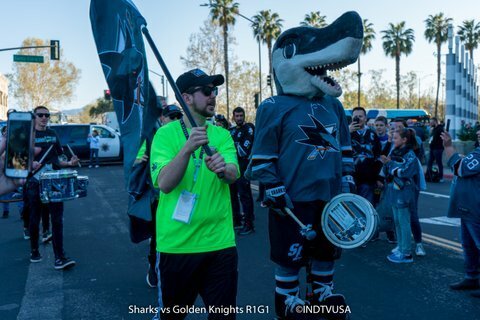 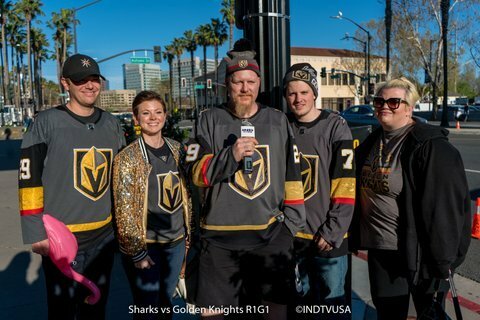 Round 1 Game 2 San Jose Sharks vs Las Vegas Knights on 4/12/19 at SAP Center.